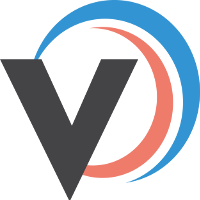 The Veeqo account owner can enable the Cycle Stock Take feature for each warehouse and user. 1. Go to Settings>Warehouses and click onto your desired warehouse. 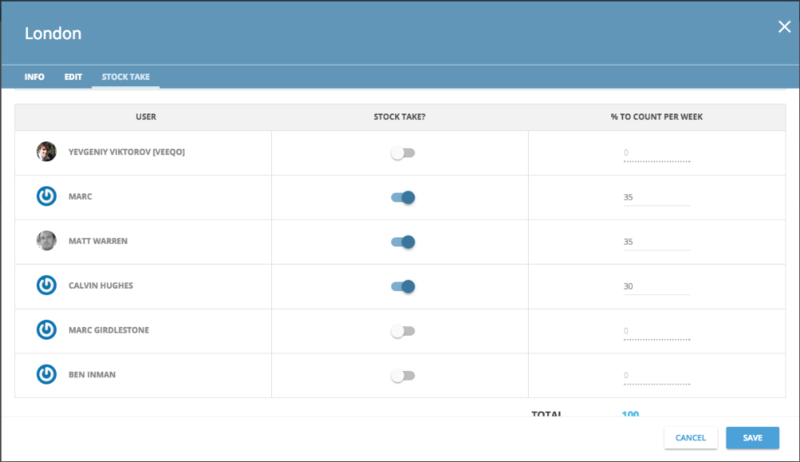 Choose the Stock Take tab and select which users will participate in the Cycle Stock Take by clicking the Toggle next to their name. Assign their weekly % target of products to check and then hit Save. This does not need to total 100% - if you set only 1 user to participate and a target of 10% then this simply means that it will give him 10% of Inventory per week to check and the whole cycle will take 10 weeks to complete. When your team have completed their first stock take you can keep track of their individual performance using the Stock Take Report. Q. If you finish this weeks take will it automatically show you next weeks in case you want to get ahead? Veeqo's stock take is based on cycle stock taking. So your next batch of products will show up on the following Monday morning. If you would prefer to count all your products in one go then switch your percentage of products to count to 100%. Q. When will the new products show in your stock take? Once you've completed this weeks stock take the next batch of products will be available for you to pick from the following Monday morning. Q. If I set 2 people to do 10% per week, and half way through the week switch it to 20% will the initial weekly stock increase, or will it increase to 20% in the upcoming? Such changes will take into affect next week, i.e. initial week stock won't increase, but from week two it will.